Plan a romantic weekend getaway to a city near you or fly across the country to visit one of these beautiful art museums where you can stroll through exhibits and admire the genius of human creativity. Our list includes world-famous institutions like The Metropolitan Museum of Art in New York, new museums like PAMM in Miami, as well as smaller museums which house unique art collections that inspire and delight their visitors. Combine a trip to a museum with dining at great restaurants, shopping and relaxing at day spas on your weekend trip. The National Gallery of Art in Washington D.C. has a beautiful sculpture garden where you can skate in the winter and listen to outdoor concerts in the summer. The museum houses paintings by Raphael, Ban Gogh, Rubens, Monet, Picasso, Titian and many other masters. This art museum located in the nation's capital should be on every art lover's list. 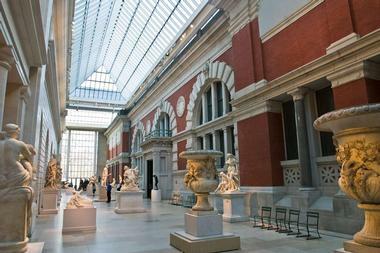 The Metropolitan Museum of Art is one of the most impressive art museums in the world, housing famous paintings, ancient artifacts and modern exhibits. Regardless of your interest, you can spend several days at this museum without seeing the same exhibit twice. 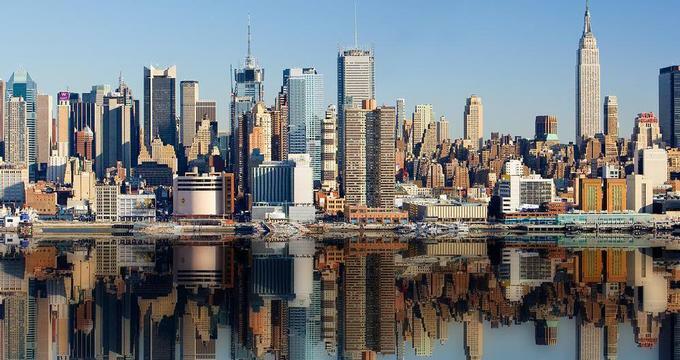 Other stunning museums to visit in New York City include the Guggenheim with its famous spiral facade, MoMA, Brooklyn Museum and the Whitney Museum of American Art. You should plan to spend at least half a day in each so that you don't feel rushed. More vacation ideas: 25 Best Weekend Getaways from New York City. 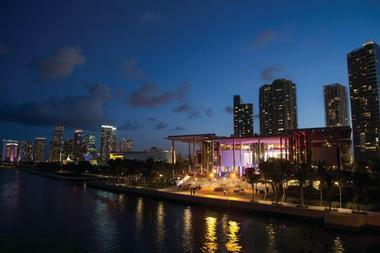 Pérez Art Museum Miami (PAMM) is a modern and contemporary art museum which opened in 2013. Located in a $131-million Art Deco-style building designed by Swiss architects Herzog & de Meuron, the museum houses 20th and 21th century art from around the world. More vacation ideas: 20 Best Things To Do in Miami This Weekend and Romantic Restaurants in Miami. The North Carolina Museum of Art in Raleigh houses diverse art, dating from ancient Greece through the late 20th century. 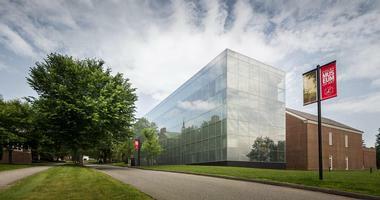 The permanent collection includes European paintings, American and international art. The museum is set on 164 acres, complete with beautiful art integrated into the outdoor park. 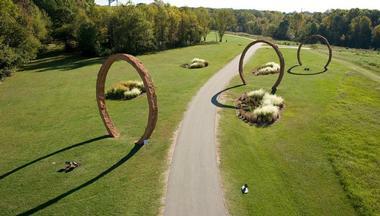 The museum commissions artists to create works of art which fit into the natural surroundings. You can take a self-guided tour on the paved and unpaved trails which take you though the outdoor exhibit. You may also like: 16 Best Things to Do in Raleigh, North Carolina. The Georgia O’Keeffe Museum in Santa Fe, New Mexico houses over 1,000 pieces of art by O’Keeffe, the world’s largest. 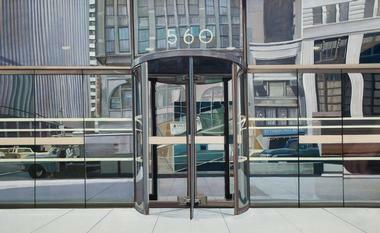 Paintings date from 1901 to 1984 and include flowers, landscapes, cityscapes, abstractions and other subjects. The museum is also home to nearly two thousand other works of art, including Authur Dove, Ansel Adams and many others. Related ideas: 15 Beautiful Romantic Santa Fe Hotels & Inns. If you are planning a romantic trip to Maine, stop at the Colby College Museum of Art in Waterville which features more than 8,000 works of art from the 19th, 20th and 21st centuries. Major artists include Georgia O’Keeffe, John Singleton Copley and Winslow Homer. The museum collection also includes Chinese ceramics, 300 etchings and lithographs by James McNeill Whistler, and nearly 900 Alex Katz workss. More ideas: 21 Best Weekend Getaways from Boston and 25 Best East Coast Beaches. 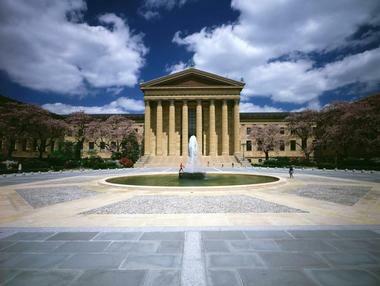 The Philadelphia Museum of Art is located in an easily recognizable building with giant Greek-style columns in Philadelphia. The museum is home to fine art from around the world. You can immerse yourself in Japanese culture if you visit the Japanese ceremonial teahouse, or head to the French cloister to feel like you’ve just traveled to Paris. You may also like: 20 Best Weekend Getaways in Pennsylvania. The Crystal Bridges Museum of American Art in Bentonville is housed in a stunning structure built over the water, surrounded by 120 natural acres. The permanent collection features art from Colonial times through present. Walk along the trails to view outdoor art, landscaping and The Way of Color, a structure by artist James Turrell with a unique sky viewing chamber. General admission is free. The Frye Art Museum in Seattle houses a collection of European paintings as well as 19th and 20th century American art. Admission to the museum is free of charge for all visitors, including guided tours, lectures and workshops. You may also like: 25 Best Things to Do in Seattle. 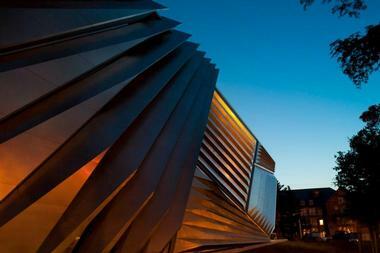 Located at Michigan State University, the Eli and Edythe Broad Art Museum exhibits Modern art along with artifacts from the Greek and Roman times, and Renaissance works. The 46,000-square-foot museum features diverse exhibitions which highlight modern life as well as showcase art from around the world. Go for a romantic walk through the sculpture garden where you can admire the museum’s stunning façade along with contemporary art pieces like Roxy Paine’s Containment and Vestigial Block by Jonathan Prince. You may also like: 20 Best Romantic Getaways in Michigan. The Museum of Fine Arts has a unique garden where you can go for a romantic stroll surrounded by Rodin sculptures. The museum exhibits art from around the world in two colossal buildings. More vacations: 17 Best Things To Do in Houston with Kids and 32 Best Romantic Things to Do in Houston. More travel: 16 Best Things to Do in Providence, Rhode Island. At the Art Institute of Chicago, visitors get to admire a diverse collection of art, from ancient Egyptian history to impressionist paintings. 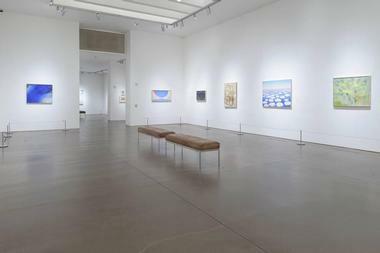 Once you are done seeing the Monet collection and the Chagall windows, don’t forget to check the current exhibitions. You may also like: 29 Best Relaxing & Affordable Weekend Getaways from Chicago. The Chrysler Museum of Art in Norfolk is famous for its collection of 10,000 glass objects which span 3,000 years, from ancient to modern times. Permanent exhibits include European and American paintings & sculpture, modern and contemporary art, photography, decorative arts and ancient artifacts. The museum has a newly renovated café which serves dishes made from locally sourced ingredients. You may also like: 18 Great Weekend Getaways from Washington D.C.. 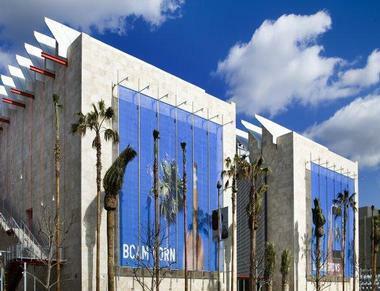 The Los Angeles County Museum of Art (LACMA) is spread out over 20 acres so you will need to plan what to see ahead of time if you only have a day or two in the city. Visit the modern art collection where you can see works by Matisse, Kline and Kandinsky, or tour one of the ancient history exhibits. While you are in LA, visit the Getty Center where you can enjoy art as well as stunning views of the city. 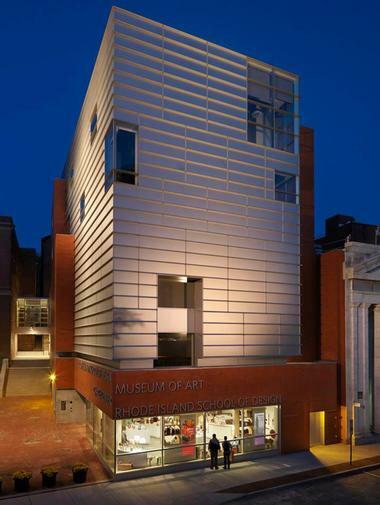 The Rhode Island School of Design Museum in Providence has a diverse collection of ancient, Asian, contemporary and decorative art. The Costume and Textiles department is one of the most extensive in the world, housing 26,000 objects which date from 1500 BCE to the present. The museum has a diverse collection of European and American paintings and sculpture, prints, drawings and photographs. If you live on the East Coast, Providence is a great weekend destination with a choice of accommodations, restaurants and attractions. You may also like: 16 Best Things to Do in Providence, Rhode Island. 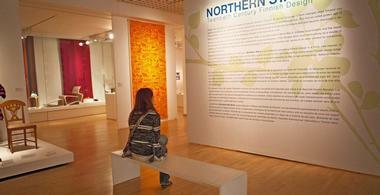 Mingei International Museum has six galleries where visitors can view folk art and design from around the world. Past and present exhibitions have included works by American artists, architecture, handmade African-American dolls, textiles, ceramics, figures, drawings, furniture, paintings and more. El Segundo Museum of Art in California puts a practical twist on art exhibits and calls them “experiences.” Art is presented in a way that tells a story and helps visitors ask and answer questions about the broader, practical implications. The SPARK experience, on exhibit through May 24, 2015, makes you contemplate how we find inspiration and how ideas evolve to become part of the real world. If you are looking for art to expand your mind, head to this unique museum on the West Coast. Featuring a collection of over 27,000 works of art, de Young museum is the place to see American art of all periods. Artworks include paintings, decorative arts, works on paper, costumes and sculpture. The museum also has a diverse permanent collection of African and Oceanic art. Browse more romantic vacation ideas. You may also like: Top 10 Things to Do in San Francisco & Oakland with Kids. 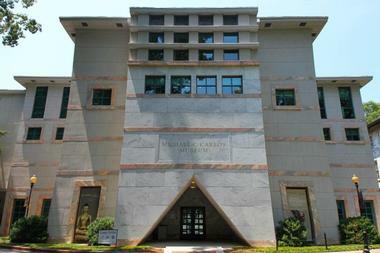 The Michael C. Carlos Museum is one of the oldest art museums in Georgia, starting its life in 1876 as Emory College Museum. 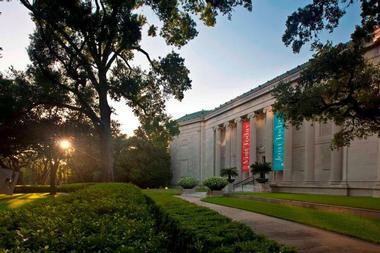 Located in Atlanta’s historic quadrangle of Emory University's main campus, the museum fulfills its goal to provide visitors with an insight into the cultures of the world’s art and history through more than 17,000 art objects from ancient Egypt, the Near East, Africa, Greece, Rome, Asia and the ancient Americas. The collections are located in a beautiful building designed by the notable architect Michael Graves. The museum's permanent Egyptian collection was enriched in 1999 with the 145 works from Niagara Falls Museum and includes the ancient elaborately decorated coffins and mummies. In addition to exhibitions, permanent and temporary, the Museum offers educational programming, lectures, workshops, symposia, performances and festivals. It operates a conservation center and teaching laboratory and brings history, art and archaeology to Georgia children through Art Odyssey, its outreach program. 25 Best December Vacations in the U.S.